Brush is a crucial element if you use GIMP to work on digital arts. Unfortunately, the default brush collections provided by GIMP are limited enough, but you can install additional brushes according to your needs. 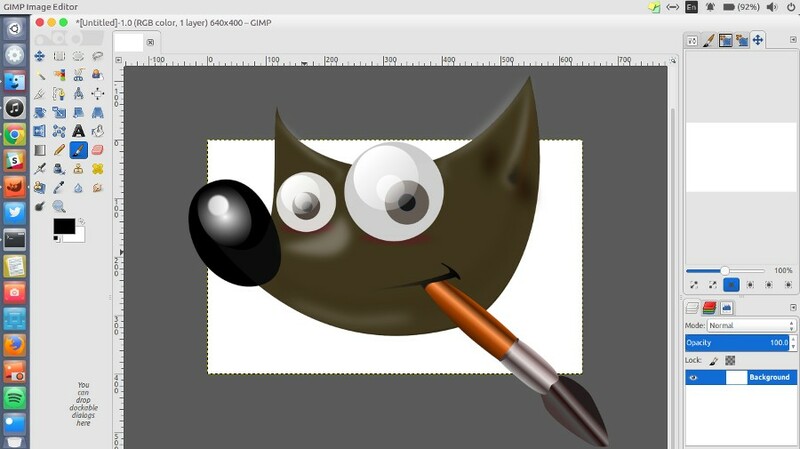 In Ubuntu, you can install new GIMP brushes with ease. All GIMP brushes are stored on the “brushes” folder. In Ubuntu — and other Linux distros in general — you can find the “brushes” folder under the installation folder of GIMP. The path is usually “/usr/share/gimp/*GIMP version*/brushes”. You will find several sub-folders on the “brushes” folder with each sub-folder contains .VBR files. Yes. In GIMP, brushes are available with the file extension of .VBR. If you want to install new brushes in GIMP, you can simply copy the folder containing a set of brushes to the “brushes” folder. Since GIMP is not as popular as Photoshop, finding a website to download .VBR files can be another problem. Fortunately, GIMP has a good compatibility with Photoshop. Not only it is capable of opening .PSD files, but GIMP also recognizes the .ABR file. .ABR file is file extension of Phtoshop brush. Unlike .VBR, each .ABR file contains several brushes. In other word, a .VBR file contains a set of brushes instead of single brush. Finding websites to download Photoshop brushes is much easier than finding website to download GIMP brushes. So, if you meet some problems in finding GIMP brushes, you can change your mind to search for Photoshop brushes. There is no difference to install Photoshop brushes in GIMP. You can simply copy the .ABR file to the “brushes” directory (visit this post for more detailed instructions). Just don’t forget to restart your GIMP after copying the brushes.